For those who suffer from tooth loss, dental implants provide a permanent, natural feeling solution to restoring missing teeth. When undergoing dental implant treatment, it is important for patients to understand how poor oral care can increase the risk of dental implant failure. Drs. Gerald Bird and Jay Johnson believe educating patients about the link between dental implant failure and poor oral care during consultations at their Melbourne, FL practice can help reduce the risk of failure and ensure successful results. Here, we'll take a closer look at how poor oral care can cause dental implant failure and what steps can be taken to reduce this risk. 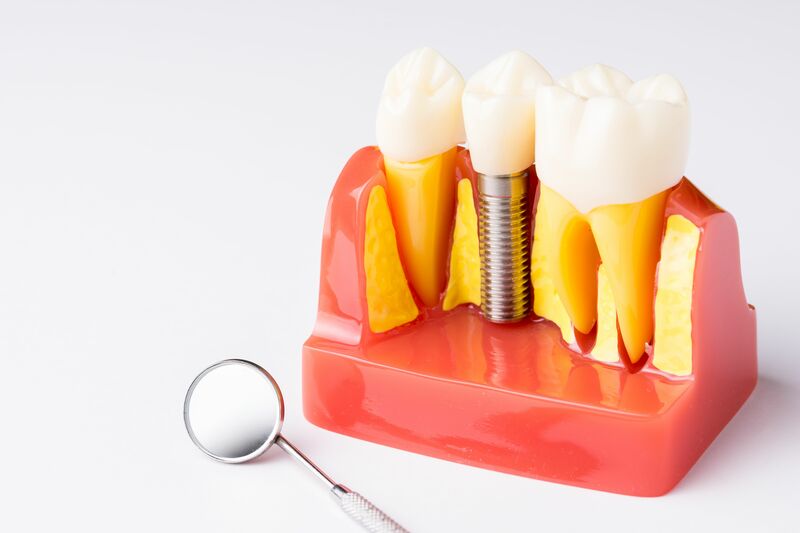 In order to understand how poor oral care can lead to dental implant failure, it's important to understand a process called osseointegration. Osseointegration is a process in which bone attaches itself to metal. For dental implant treatment to be successful, osseointegration must occur between the jawbone and implant. Once the jawbone grows around the implant, a strong, permanent bond will be formed. Osseointegration is a slow process, taking several months to complete. During this time, care must be taken to protect the bone as it grows around the implant and reduce the risk of implant failure. How Does Poor Oral Care Lead to Dental Implant Failure? If the osseointegration process is disrupted, dental implant treatment will fail. There are a variety of factors that can interrupt osseointegration, with one of the most significant being poor oral care. Poor oral care may include such things as neglecting to brush and floss the teeth, poorly brushing or flossing, or only brushing the teeth once a day. The main cause of dental implant failure associated with poor oral care is infection. Poor oral care increases the risk of gum disease, a bacterial infection of the gums. If gum disease is allowed to progress, the infection can spread to the dental implant incision site. Gum disease can also cause the gums to recede. As the gums recede, the support they provide the dental implant will weaken, which can contribute to dental implant failure. Brush at least twice a day: The teeth should be brushed at least twice a day or more to prevent gum disease and lower the risk of implant failure and other oral health issues. Brush thoroughly: In addition to brushing at least twice a day, it's important to thoroughly brush the teeth. The teeth should be brushed for a full two minutes to properly clean the teeth. Don't skip flossing: Flossing is just as essential to good oral health and reducing the risk of gum disease as brushing. The teeth should be flossed at least once a day, every day. Rinse with an antiseptic mouthwash: Rinsing with an antiseptic mouthwash after brushing and flossing can further reduce the risk of infection and dental implant failure. To learn more about dental implant treatment, or for answers to your questions about dental implant failure and poor oral care, please contact our practice to schedule a consultation.